We never even thought about a truck body style like this, but we're sure glad someone else did. 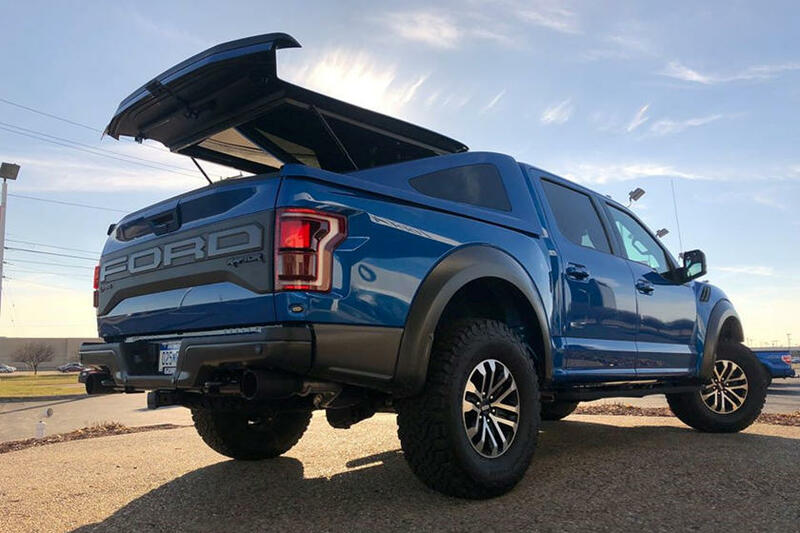 Introducing the Aero X, a Mustang-like fastback bed cap for the Ford F-150. It was not Ford, however, that came up with this cool idea, but rather Michigan Vehicle Solutions. The Drive first spotted this unusual-looking truck on Twitter and did some digging, leading the outlet to MVS. The company, which also does custom parts installations and even restorations, claims it wants to make the fastback pickup truck the next big thing. CEO Rich Oliver told The Drive that the firm "looked around and saw the lack of innovation there It's time for a different thing from our grandparents' bed caps. The flat tonneau, the shoebox, all that has run its course. "